Tryptophan is an essential amino acid required by the body to make the neurotransmitter serotonin. 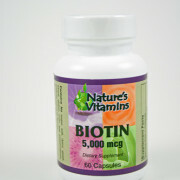 The body uses tryptophan to make 5-HTP, and then this gets converted into serotonin. Oftentimes this process is not efficient and does not produce adequate serotonin. Therefore, an increased intake of 5-HTP becomes important. Numerous scientific studies show 5-HTP is of benefit in individuals with mood disorders. Our 5-HTP is from the seeds of the Griffonia simplicifolia plant. 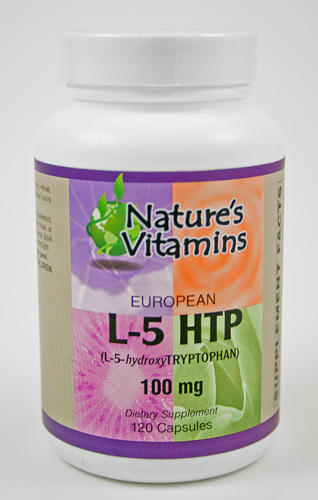 5-HTP has many advantages over L-tryptophan: besides being safer to produce and arguably more potent, it can cross the very selective blood-brain barrier more easily than L-tryptophan. Once it passes through the blood brain barrier it is able to help increase levels of serotonin; a neurotransmitter, whose levels are positively associated with mood.
. 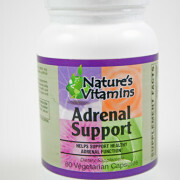 Provides 100 mg of 5-Hydroxytryptophan.
. Sourced from European standardized Griffonia bean extract.
. 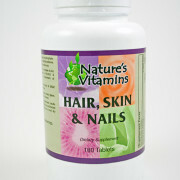 Contains synergistic nutrients vitamin C and B6.